Your sporty little man will love the PEEK™ Rugby One-Piece! 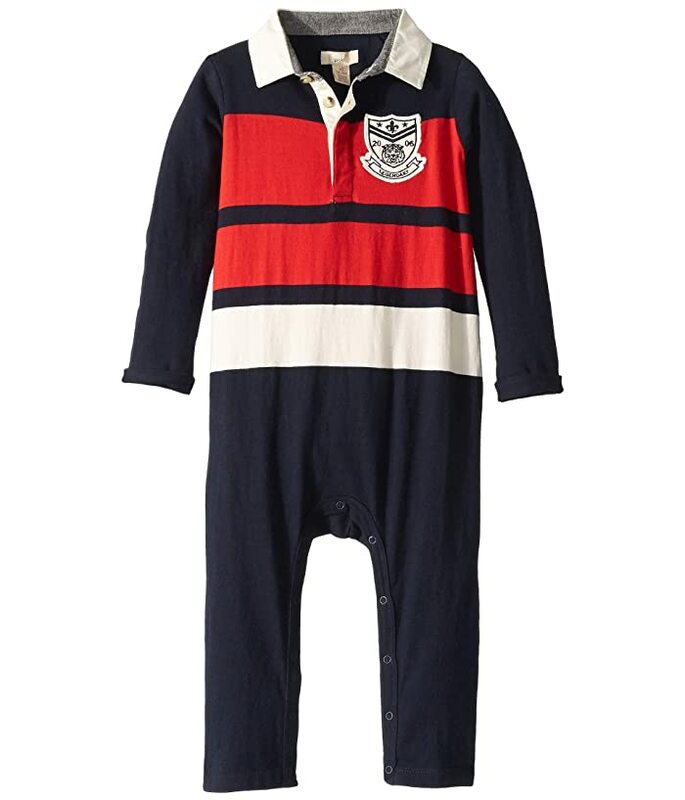 Super soft cotton coverall features a striped pattern and signature embroidered crest. Point collar with a concealed three-button placket. 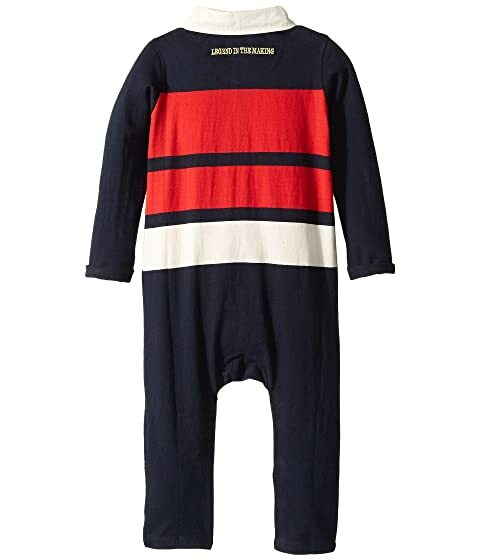 Product measurements were taken using size XL (18-24 mos). Please note that measurements may vary by size.